Our outdoor bootcamp fitness is very different from what most expect and is a great way for you to reach your goals, share experiences and meet others along the way in a fun, friendly and supportive environment. **WARNING** BAD HUMOUR AND ANNOYING POSITIVITY WILL BE EXPERIENCED BUT UNFORTUNATELY NO YELLING IS INCLUDED!! Sessions include the internationally recognized, leading name in Boxing for Fitness training – Thump Boxing. Unlike traditional Bootcamp style, we will not yell at you to motivate you. 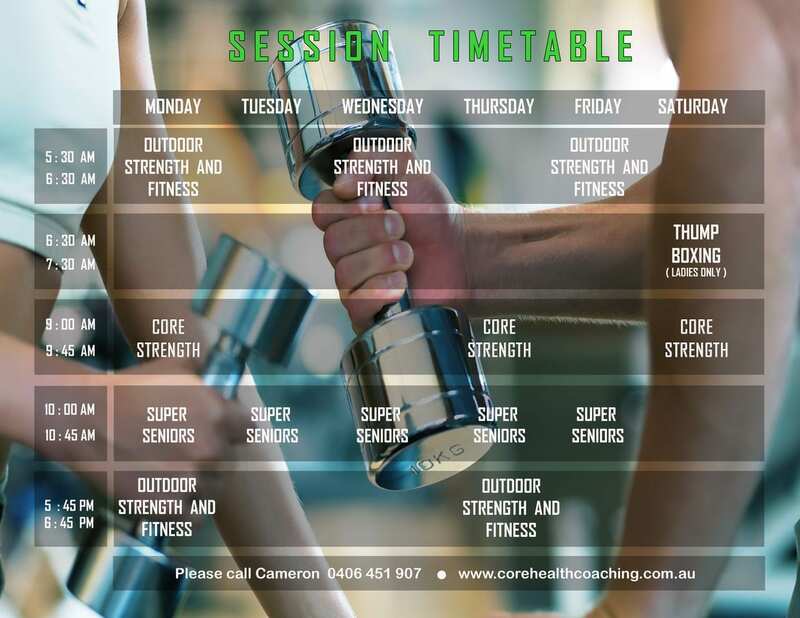 Click here to Download Session Timetable.